One piece tanks are suitable for a versatile range of applications. Our one-piece tanks (or cisterns) are suitable for the storage of water up to 55°C using standard resin and up to 80°C using high-temperature resin. Specialist resins are also available that enable the storage of mild and aggressive chemicals. 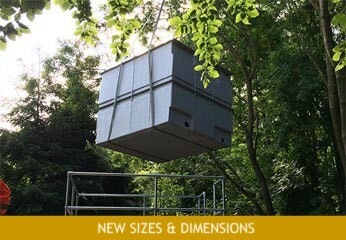 The latest tank design has a taller and narrower outlay that provide greater design flexibility to suit the ever-growing issue of restricted plantroom space. 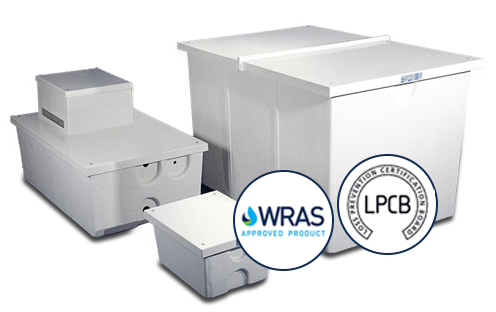 Standard capacities available from 30 litres to in excess of 12,000 litres, if you cannot find your size talk to our technical sales team about our bespoke tank options today! NEW One Piece Tank Size Guide PDF! 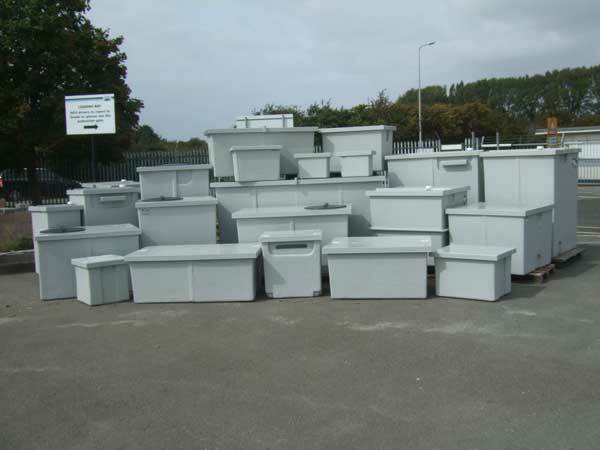 Insulated or uninsulated options available depending on the application. Twin Compartment options available to provide continuous supply during maintenance periods. Dewey Waters is an accredited & certified GRP water tank manufacturer. We pride ourselves on operating to the highest professional standards. We are committed to supplying our customers with genuinely market-leading, high-quality products, and always strive to provide the most appropriate solutions to fulfil clients’ needs. Our product range and manufacturing processes are continually updated and optimised to ensure that we offer the most up-to-date products and services – improvements which are driven by a combination of legislative change, fluctuating market forces and consumer demand. To ensure consistent levels of product quality, we regularly monitor our procurement and usage of raw materials, whilst also striving to adopt the most efficient production methods – using natural resources in all of our manufacturing processes where possible. 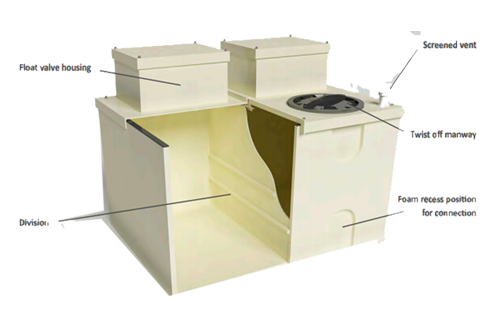 Our range of standard tanks are usually available as a stock item, complete with 25mm insulation and with or without a raised float valve housing. 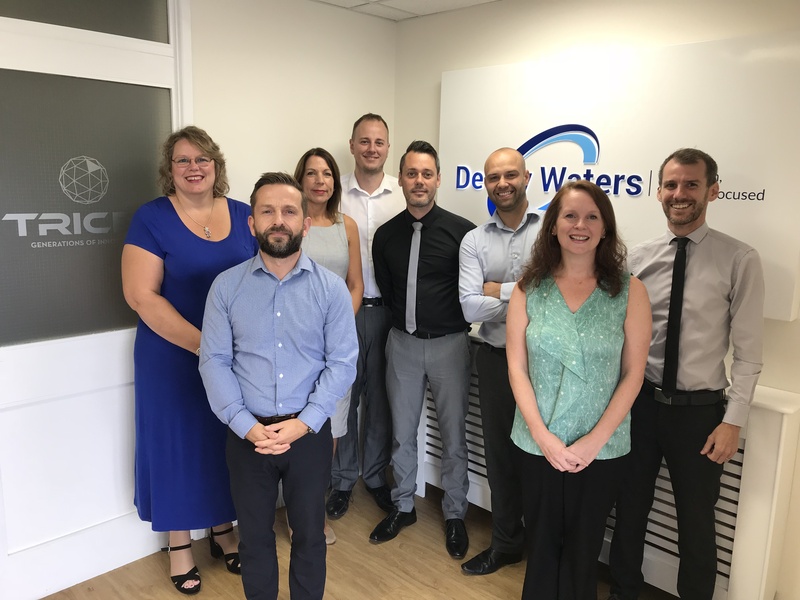 Dewey Waters has gained an established reputation for manufacturing large and small-scale cold water storage tanks for their customers at home in the United Kingdom and throughout the world. Dewey Waters specialise in hot press compression moulding at our manufacturing locations. 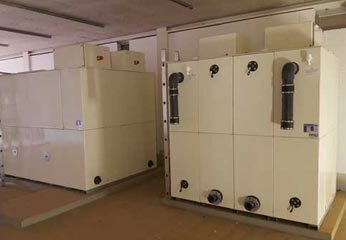 This is a cost effective modular solution which is WRAS approved and suitable for the storage of wholesome & potable water. 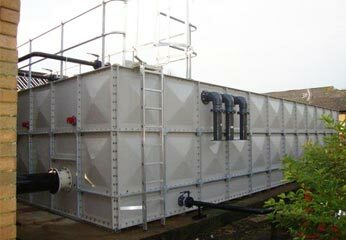 We can cater for all water tank specifications for Export projects or domestically here in the UK. 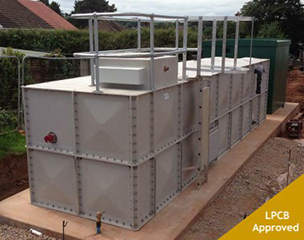 Our range of totally internally flanged (TIF) sectional water storage tanks suit all applications and are ideal where space is restricted. Due to its internally flanged design, this tank can be installed against walls and into corners thereby maximizing water storage capacity. Dewey Waters is a certified supplier of LPCB sprinkler tanks which are trusted by businesses, municipalities and their insurers who rely on the availability of an emergency water supply to sprinkler systems in the event of a fire. We offer a water tanks calculator tool that will assist you in finding out the exact tank sizes and capacity required for your job. Do you need help, or have a question? Please use the form below and one of our experts will be in touch shortly. Please use this form below and one of our experts we'll be in touch shortly.